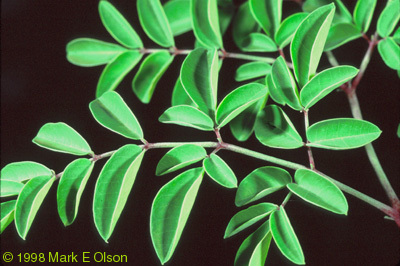 This small Moringa occurs from southern Kenya to the region of Kisimayu in southern Somalia, always within 100 miles of the coast. It may occur in northeastern Tanzania but has never been found there. 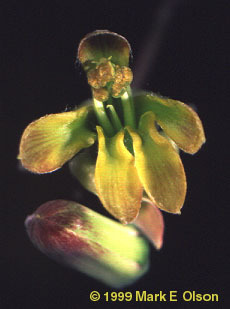 It usually only bears one or two stems, which typically reach about waist level. 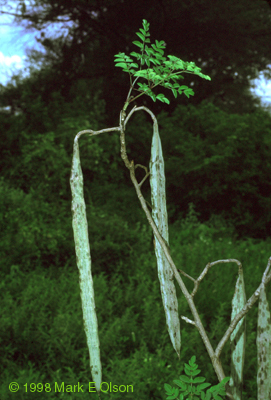 These shoots seem to die back to the tuber every few years, but occasionally the plant may grow into a small tree. In cultivation here in the US, when given the chance, M. borziana will make a shoot 3 meters high in the course of 2 months. The tuber is often very large and can reach more than one and a half meters below the surface. 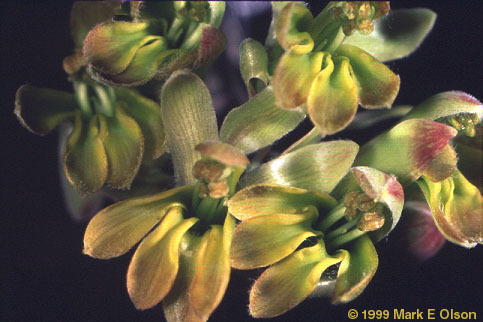 The flowers of M. borziana are greenish cream to yellow with brown smudges on the petal tips, and have an almost sickeningly sweet odor. 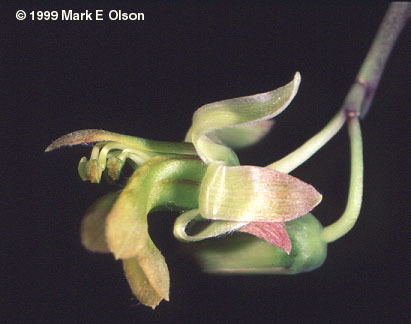 When not in flower or fruit, this species has often been confused with M. rivae, but the latter species never occurs so close to the coast.